The WarioWare series is easily one of the weirdest in Nintendo's stable, centered around a broad array of crazy minigames created by Wario and all his weird friends. After its initial debut on the GBA, it's had an entry on every console since – with the notable exclusion of the 3DS. It's certainly a series unlike anything else, and for those of you that would like something to go along with Game & Wario, another WarioWare game arrives on the VC tomorrow. 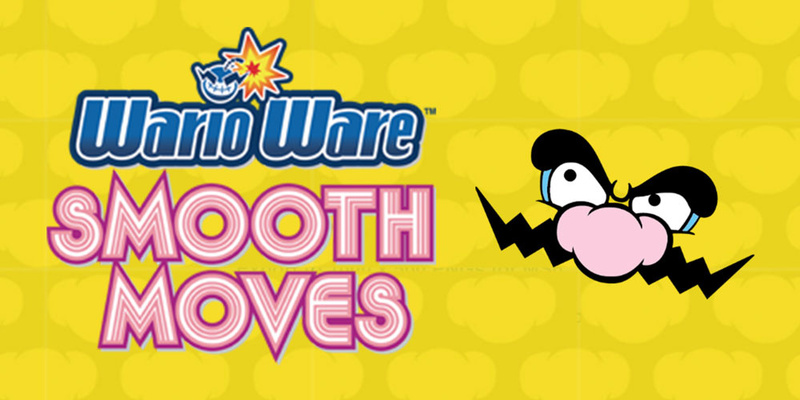 WarioWare Smooth Moves will show up on the North American eShop as a retail Wii download. This was the entry that was made for the Wii, and it obviously centers heavily around motion controls. We actually reviewed this one way back in 2007, and thought it was good at the time. Hopefully it's aged as gracefully as other entries in the series, this could be another great party game to add to the collection. What do you think? Will you be picking this up? Have you played it before? Drop us a comment in the section below. Awesome to hear, but... WHERE IS MY 3DS WARIOWARE!?!?!?!?!? Great game but still waiting for more turbo graphics. Put it on sale for $10 and I'd buy it. $20 is more expensive than finding it used. DAT is a move DAT is smooth, also with @wiggleronacid WARIOWARE, Y U NO MAKE MICROGAMES ON THE 3DS!??!?!?!?!?!?!?!?!?!?!??! @wiggleronacid Honestly didn't realize that until now, I thought I remembered one a few years back. Kinda bizarre when you think about it, there's lots they could do with the 3D gimmick. Probably the weakest WarioWare game, but still pretty great and funny I'm surprised we haven't gotten a new entry to take advantage of the 3DS' gyro, considering how big a hit WW: Twisted was back in the day. @MitchVogel I was thinking the same. I wished Nintendo embraced 3D more. Their emphasis in promoting 3D gaming seemed to quickly fade after 3DS released (2DS). I was surprised to learn people preferred to turn the 3D off. Personally, I love it and the 3DS is one of my all-time favorite Nintendo devices. So much so, 3D World on the wiiu felt like a let down after playing 3D Land on the 3DS. F-zero on the 3DS would've been cool as well. Sweet. I only got to rent this from Blockbuster once a long time ago, so it'll be nice to revisit it. Can't believe they haven't made an original WarioWare game for Wii U either... I love Game & Wario but a traditional WW would be so much better. They could do a WW mega mix on Wii U and have every micro game ever on there! I loved this game back in the day, though $20 is a bit high. Nice. But where is the TG16 games and DS Castlevania games for Helloween. I'll pass on this one. What I'd really like to come to the eShop is Mario Party 8. I've been practicing to beat my high score in Shake it Up! The best part is that I'd be able to play Super Mario Run simultaneously! Best entry in a consistently amazing series. It has every hallmark of the games before it and more. I guess after 7 games the developers maybe felt too burned out to come up with wacky new micro games for the 3DS. That said, I do feel the NES Remix games are a sort of spiritual successor... where's my SNES Remix, Nintendo???? I never played this so when it comes to Europe I'm there! ... you know, the joke is about Do It Yourself, which is... playable... on 3DS... whatever. About £4 in CEX second-hand. Fun game though and it has aged well enough. The art style is simple and the humour still effective. Meh, I already have it. It's cheaper at GameStop. Why do we keep getting games the Wii U is backward compatible as VC games? Where are all the VC games EU has? Pokemon Snap, Zelda Majora's Mask, Zelda Spirit Tracks, Animal Crossing Wild World, Mario Kart 64, Star Fox 64 and Kirby Canvas Curse? Whose idea was it to call Wii games VC titles and release them at $20? @allav866 That gave me dirty thoughts. EDIT: I guess that was the point. Yay! A game I have that I can play on my Wii-U already! I'm glad we are getting all these games that came out less than 10 years ago and that can already be played on this current system, those classic games for systems that are long since discontinued was getting old! @TeslaChippie : Weakest… I'm sorry… WEAKEST?! Blasphemer! Everyone knows that the weakest (cough worst) WarioWare game is by far WarioWare: Snapped! on DSi. The concept is fine but the camera recognition is broken and not at all fun to play. 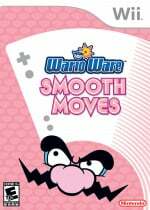 I'd argue that Smooth Moves is by far the best WarioWare game. Nintendo blew motion controls out of the water by exhausting the motion control gimmick in ways that most of us wouldn't have thought of. Yes, it's a short game, but MAN is it so, so sweet. This game is such an incredible achievement and I feel that it has never quite gotten the recognition that it deserves. I'm still super, super bummed that there was never (and perhaps shall never be) a MotionPlus WarioWare game for Wii or Wii U. This games good. Still played this as my go to party game until Wii U came out with Nintendo Land. Multiplayer stuff is hilarious! @TeslaChippie : The main retail WarioWare games tend to have around 200 microgames each, but I don't know the exact numbers. If memory serves, it does seem that Twisted had a little more. I thought that a game of its kind was an absolute steal for $50. I couldn't believe that I was getting a motion controlled game with a built-in rumble pack for that price. It blew my mind at the time. I'm scared to check whether or not it still works, as I've heard that the internal battery and the little motor (?) in the rumble pack have a lifespan of about 10 years. overpriced download. i'll pass. now where is Animal Crossing Wild World ?